On Saturday, December 1, 2018 we lost a truly unforgettable man. Jim Barclay slipped away after enduring months of escalating health problems. He was born James Leland Barclay in Ogden, Utah, to Lavon Jost Barclay and Alexander Campbell Barclay on April 6, 1943. He lived in Ogden all his life with the exception of two years spent serving an honorable mission for The Church of Jesus Christ of Latter-day Saints in Tallahassee, Florida. He graduated from Ogden High School in 1961. Jim went on to achieve a degree in Zoology from Weber State College. He was married to Larene Foutz in the Logan Temple on January 13, 1967. 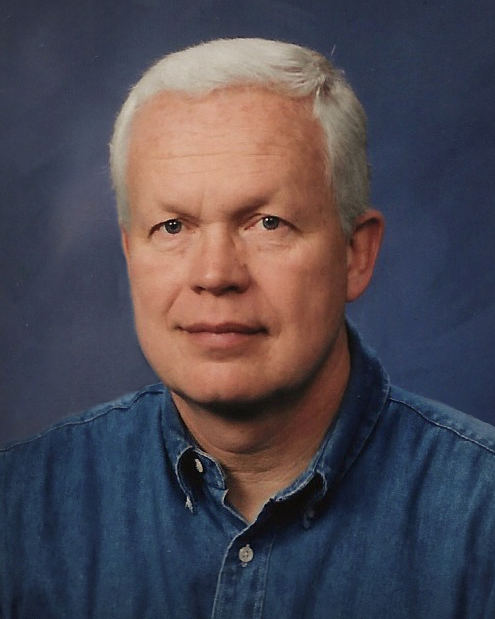 He was a proud and loyal employee at the Standard-Examiner for 40 years in the advertising department before retiring. Jim and Larene have five children, James Judson (Jean) Barclay, Bradley Campbell (Jennifer) Barclay, Jane Barclay Erekson, Bonnie (Tad) Tomlinson, and Brooke (Alan) Prothero. Though these five were their biological children, many young people stopped in and stayed a while at the haven that was the Barclay home. Their door was open to any friend or family member who needed help, good conversation, or just somewhere to be for a while. Two young ladies they all but legally adopted were Nardy Rojas Pool and Patricia Barclay Nelson. Anyone who knew Jim will have an animated story to tell about his valor and his eccentricities. He was a maverick in most aspects of life. In his childhood, Jim longed for exposure to more adventure. He loved all sports and outdoor activities. If there was something he wanted to do, he just did it. He loved the water, and as a young man, became a lifeguard and swimming/diving instructor at Rainbow Gardens. He later went on to become a skilled water skier and boater. He spent innumerable hours teaching countless people how to water ski. Though not a hunter, he collected guns and was an expert marksman. Jim was always planning to get out and go boating, fishing, hiking, snow skiing, camping, or motorcycling at the sand dunes. He really did have a need for speed! Jim’s navigation skills were remarkable, he always knew the way. The best thing about his adventures is that he invited everyone he knew to go do it all with him. Jim had a knack for fixing things, finding out how they worked, and doing as many repairs as he could himself. He amassed a vast array of tools and equipment in his immaculate garage and he was generous in lending things out to friends and helping them. He acquired extensive knowledge about how to build really fast Pinewood Derby cars and shared his tips and tools with anyone who asked. He was also a coach for several little league baseball and junior basketball teams. Jim’s generosity and charisma will not soon be forgotten. With his booming voice, energetic encouragement and fun-loving nature, he enriched the lives of an astonishing number of people. He is survived by his wife, Larene, all five of his children, sixteen grandchildren, and three siblings: Beverly Evans, Alexander Gary Barclay, and Robert Barclay. Funeral services will be held on Saturday, December 8, 2018 at 2 p.m. at Lindquist’s Ogden Mortuary, 3408 Washington Blvd. Friends may visit with family on Friday from 6 to 8 p.m. and Saturday from 12:30 to 1:30 p.m. at the mortuary. Interment, Lindquist’s Memorial Gardens of the Wasatch, 1718 Combe Rd.